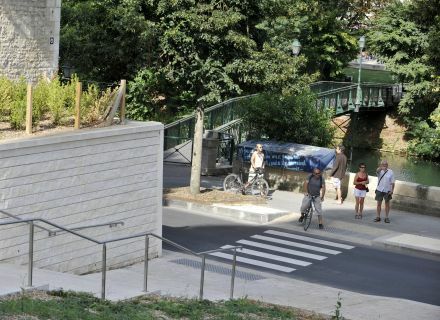 Home / Le blog / And if we cracked in the sun with a book? And if we cracked in the sun with a book? 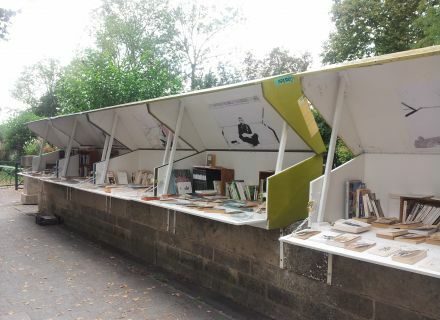 Do you know boxes about books in Niort? They are a member of the landscape, we sometimes pass in front of without looking at them. Settled near the Donjon, the quay of the Prefecture, they open generously every Saturday of the summer and it till the end of September. Still a few weeks to take advantage of it! Books at arrangement, tidied up by color but priceless code because here it is free. Finished small prices. 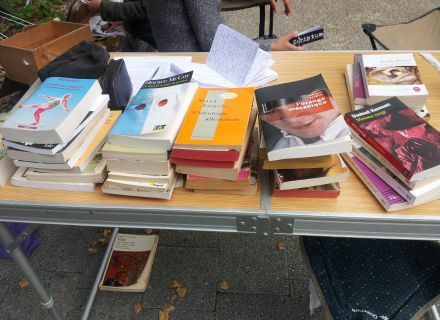 Books are offered and since this change, Anne and Nathalie, that I met on Saturday, are enchanted with the interest of the passers-by. They are more inclined to discuss, to inquire about the association and to participate in it. 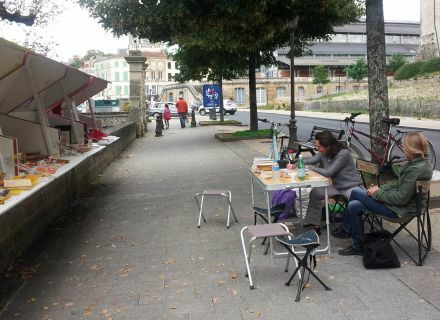 Chairs wait for you on the pavement, we can even bring some provisions of the market very close by, grab something to eat and leave with an recommended book, a very favorite book as we shall have found in these boxes nicely decorated last year by plastic Martine Hoyas. Rich in a meeting, the conductors are more inclined to return and to bring back books which they appreciated. But, watch out, here that editors' books please! Nathalie and Anne are eager to defend a job. During my passage, many books were put down with beautiful moments of reading in perspective. Every entering and outgoing book is listed. 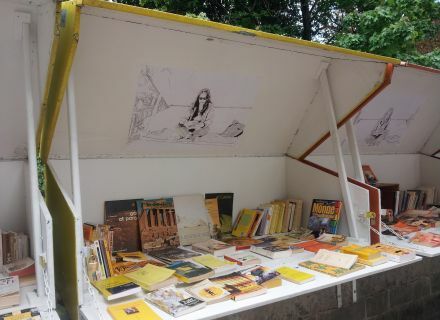 But, Postscript, it is not because the action of boxes to books, it is also public and free animations on festivals, parties, markets, demonstrations: unpacking at the request of boxes of books, installation of the suitcases of the Nap, the readings in situ with partners or accomplices such as: the troops Le Chant de la Carpe et les Crieurs (Niort), the Psychiatric Hospital, the Young workers residence, Community centers (Niort), the association les Arts en Boule (Melle), and others else, here, there or somewhere else! Their next action: an artistic exhibition to close the season of books last Saturday of September, but hush! We do not tell it to you more. Come to see! 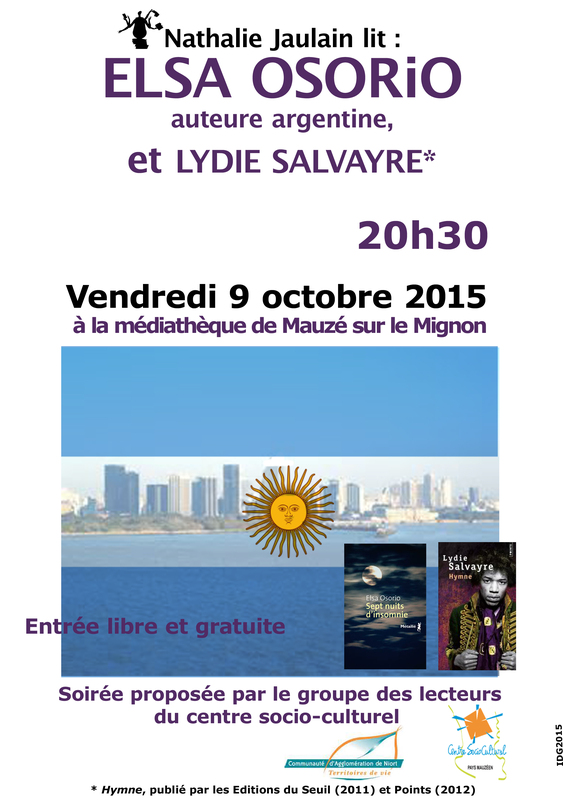 And in October a public reading to the media library of Mauzé-sur-le-Mignon: click here to know more about it.